It’s easy to bypass the artwork. For regular ferry riders, it can blend into the gestalt of a daily commute on the Washington State Ferries. 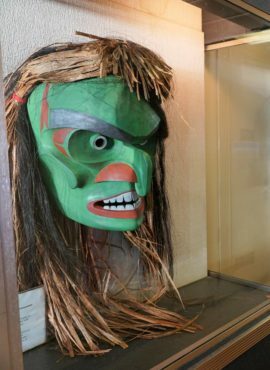 And yet each of the 23 current ferries in the system is a floating art gallery — a curated exhibit of wooden masks, paintings, historical photographs and prints celebrating the ferry’s name, the communities it serves and Washington’s Native American culture. 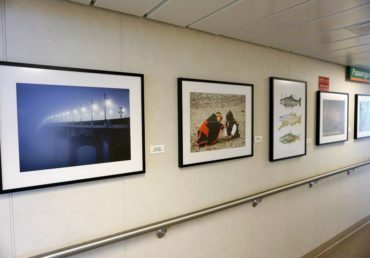 The gallery of ferry art begins with the vessel’s name, and naming a new ferry is the job of the Washington State Transportation Commission. The commission solicits nominations and requires recommendations to have statewide significance reflecting Washington’s image and culture. State-adopted symbols, tribal names, geographic locations and bodies of water as well as names reflecting nautical heritage are all acceptable. After a period of review and public input, the commission makes the decision. With the 2016 decommissioning of the state’s namesake vessel, the Evergreen, all currently operating ferries have names tied to the Native American language, leaders, geographic locations and history. 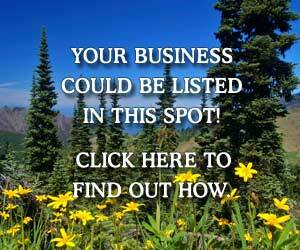 Helpful background information for each vessel’s name is posted on the Washington State Ferries website. 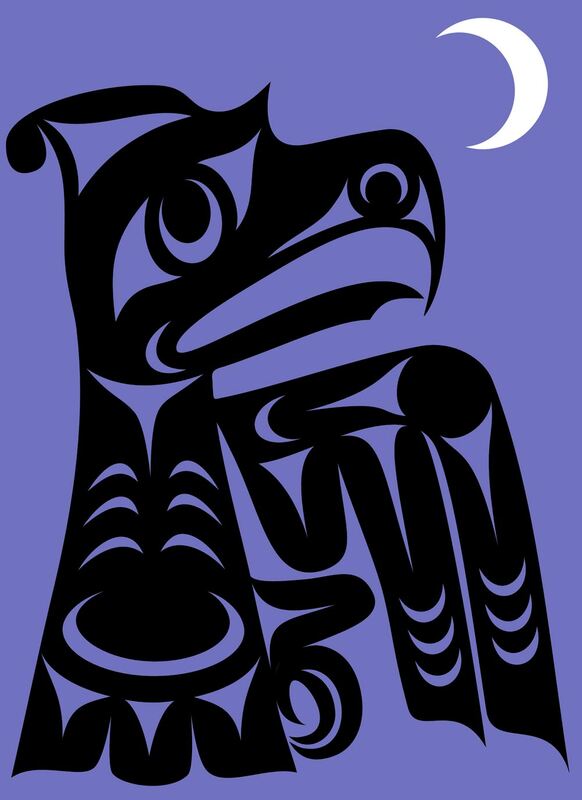 In 1974, the Washington State Legislature established the Art in Public Places Program administered by the Washington State Arts Commission. 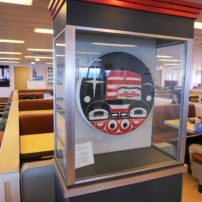 For a year, from 1981 to 1982, the commission acquired and displayed art on the ferries — all the pieces becoming part of the Washington State Art Collection. 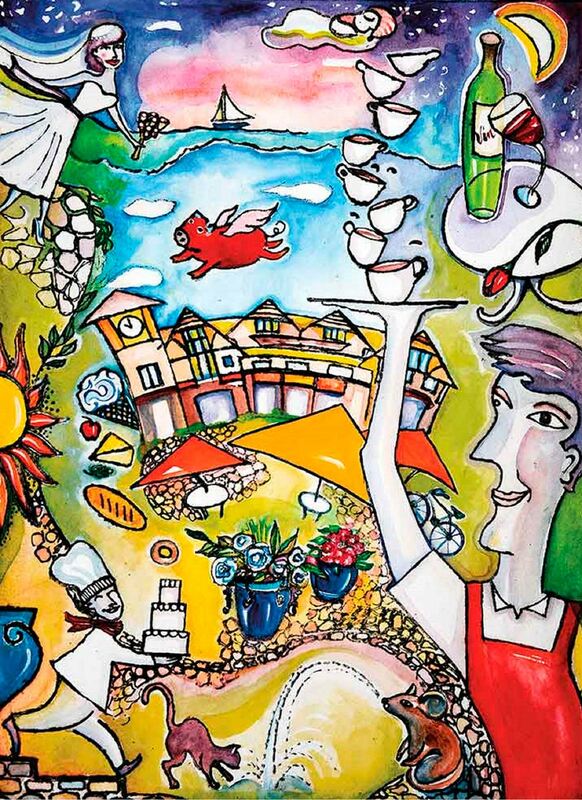 The last of the commission-acquired artwork can still be seen on the MV Issaquah serving the Southworth run. Four carved and painted cedar panels by artist James Jordan titled “Sistiutl,” “Killer Whale,” “Sea Monsters” and “Owl” are mounted in both cabins of the ferry. As older ferries have been decommissioned, the vessel art acquired by the commission has been reclaimed for display in state public buildings. 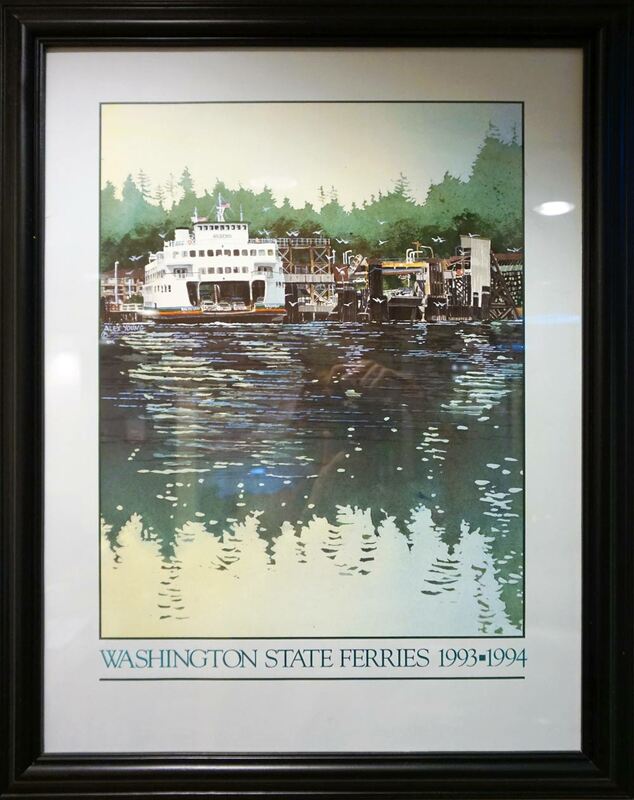 Since the ’90s, Washington State Ferries has contracted with Tela Art, a Redmond-based art consulting firm, to assist with art selection before the portfolio of possibilities goes to the agency for final approval. The process varies by ferry but always honors two considerations — the name of the ferry and the involvement of the community the name reflects. 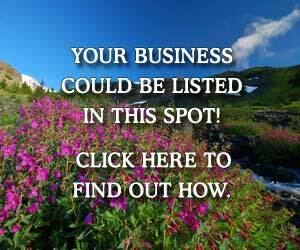 Post said that additional factors are also considered. Deciding the artwork for the Chimacum was a complicated task. 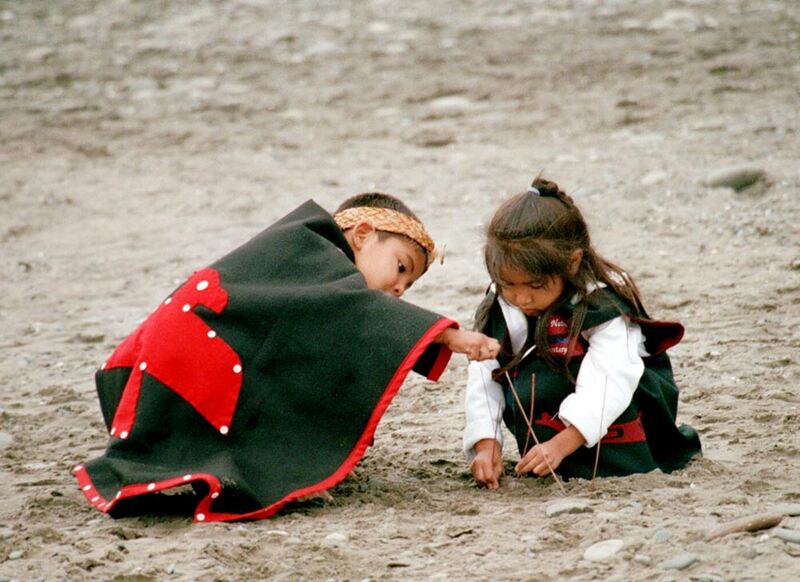 The Chimacum tribal group no longer exists as a formal entity. And the ferry, which serves the Bremerton-Seattle route, was the first new ferry assigned to Bremerton in years. Input from Bremerton’s ferry commuters and leaders was strongly in favor of works of art that reflected Bremerton, so Tela and Washington State Ferries representatives worked closely with Bremerton-based organizations to be involved in the decision. The Kitsap Historical Society combed through its archives of historic photographs to select a portfolio that would reflect Bremerton history. 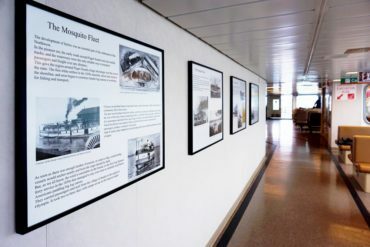 The enlarged, black-and-white photos on display show scenes from Puget Sound Naval Shipyard, downtown Bremerton and a Port Hadlock pioneering family. 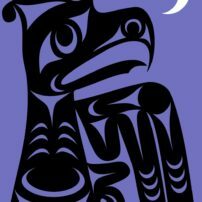 Additionally, Tela worked with the Bremerton Arts Commission to put out a call to artists living in Kitsap, Mason and Jefferson counties. 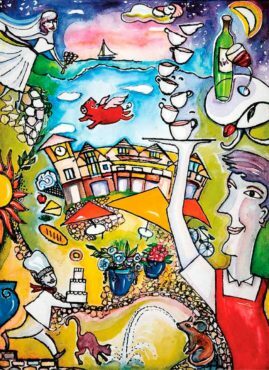 Cynthia Englegau, the city of Bremerton liaison to the arts commission, said that more than 200 pieces of art were submitted for consideration. 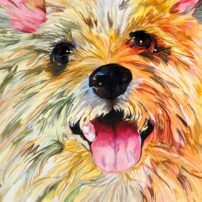 The art commission had a double-round selection process, eventually selecting 16 eclectic works for display — a combination of paintings, photography and prints. “This was a very hard process since so many of the art images were absolutely gorgeous,” Englegau said. Chimacum ferry riders can view the gallery of local artists at the top of each of the stairwells from the car deck. Additionally, the MV Chimacum includes an informative exhibit and photographs of the Puget Sound Mosquito Fleet, Washington’s early private ferry system. 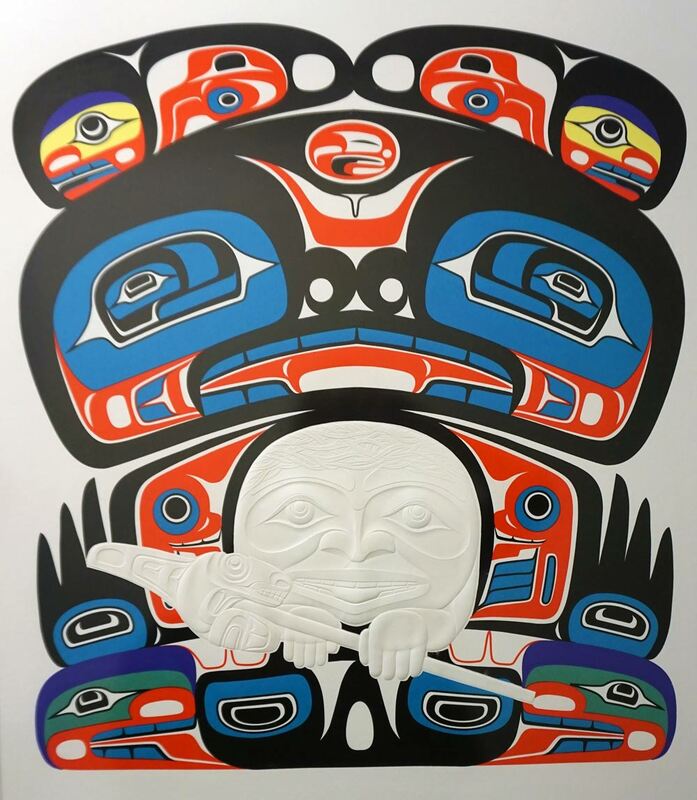 The MV Tacoma and Wenatchee ferries serving the Bainbridge route and MV Puyallup serving the Kingston route include three-dimensional Native American art in their galleries. On the MV Tacoma, in addition to historical photos of old Tacoma selected by the Washington State Historical Society, plexiglass cases in the front and back of the ferry display Native art including “Bear Mask” made of alder wood, horsehair, fish bone and cedar bark fiber by artist George David (Tla-o-qui-aht); a mask carved by Haida artist Bruce Cook; and a lithograph titled “Sea Bear” by Martin Oliver. MV Tacoma also has a framed poster of an iconic watercolor painting of the Bainbridge ferry terminal by Alex Young. 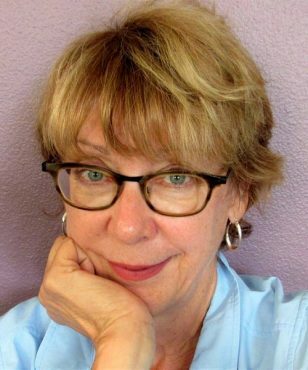 Young, whose series of ferry terminal watercolors are now collector’s items, was the Washington State Department of Transportation bridge and structures architect who supervised ferry terminal design. Beginning in 1984, he annually produced a painting of a ferry docked at a terminal. 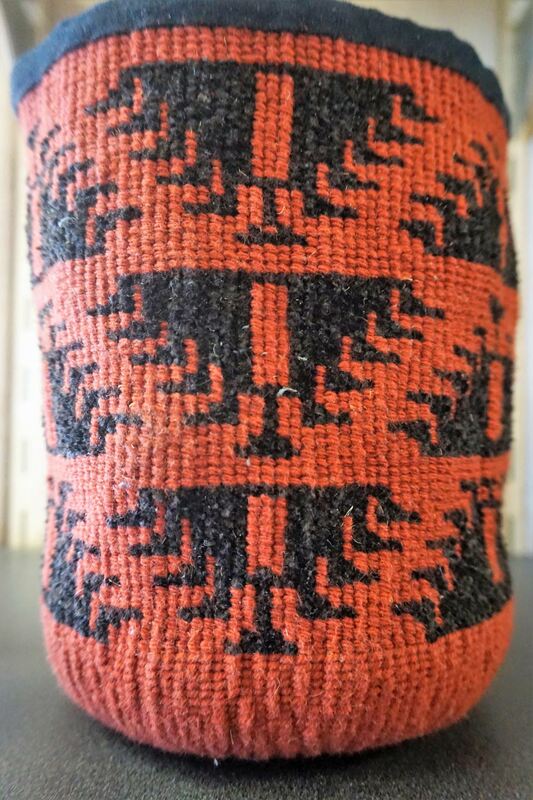 The art on the Wenatchee ferry reflects the art of the Columbia River tribes, including historic photographs of Native life along the river and baskets woven by Pat Gold (Wasco-Tlinget) using methods and designs unique to the area. 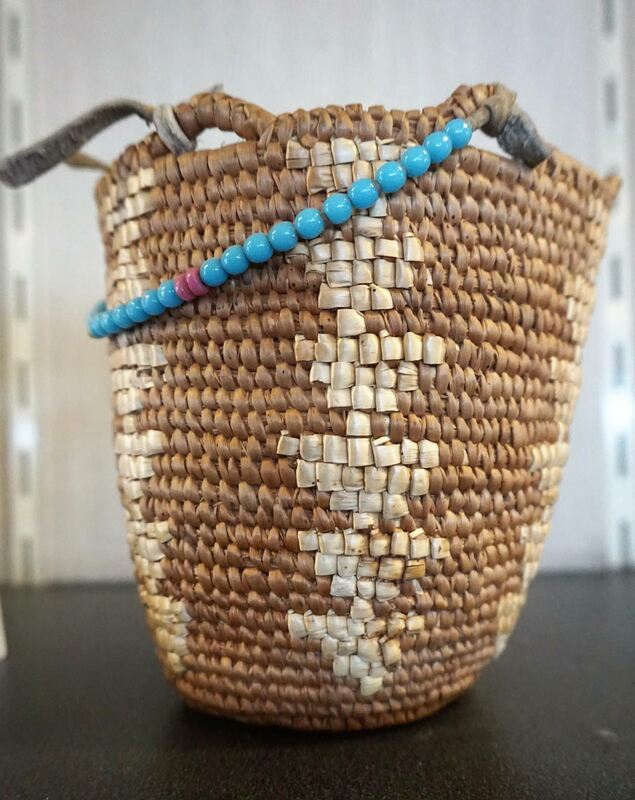 Likewise, the art gallery on Kingston’s Puyallup ferry is a combination of historic Puyallup photos from the Washington State Historical Society and Ezra Meeker Historical Society and art from Northwest Native American artists. 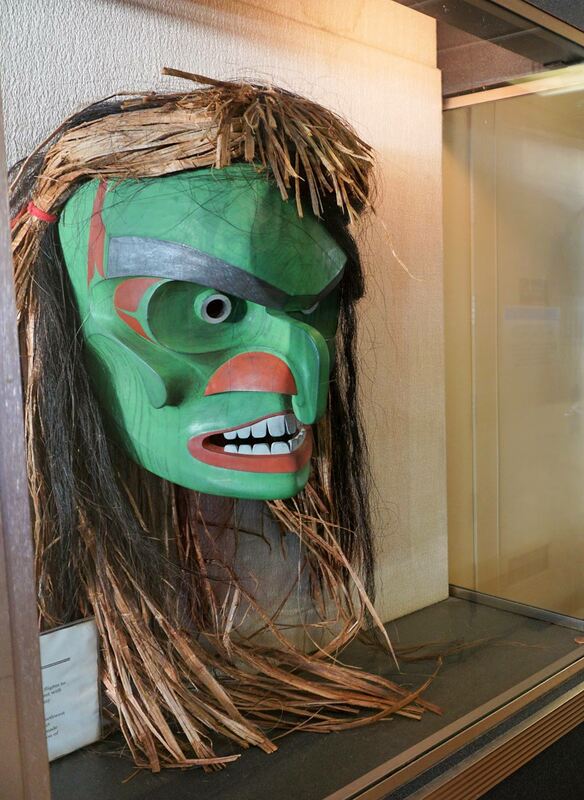 Plexiglass displays show off a mask carved by Makah artist Greg Colfax and a red cedar “Eagle Mask” by Robert Leask (Haida-Tlinget-Tsimpshian). The newest ferry, MV Suquamish, scheduled to begin operation in 2018, was nominated by the area’s Suquamish Tribe. 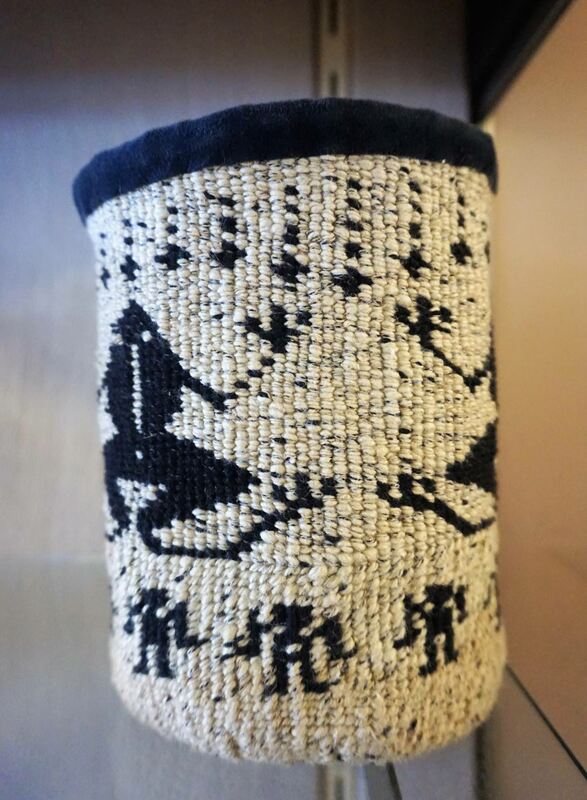 In preparation for its launch, Tela and Washington State Ferries are working with tribal representatives to determine art that reflects the ferry’s namesake. April Leigh, communications coordinator at the Suquamish Tribe, said that tribal artists, leaders and the community have been thinking about ways to showcase not just the tribe’s history but also its current story. The tribe’s extensive archive of photography will be shared as a display. 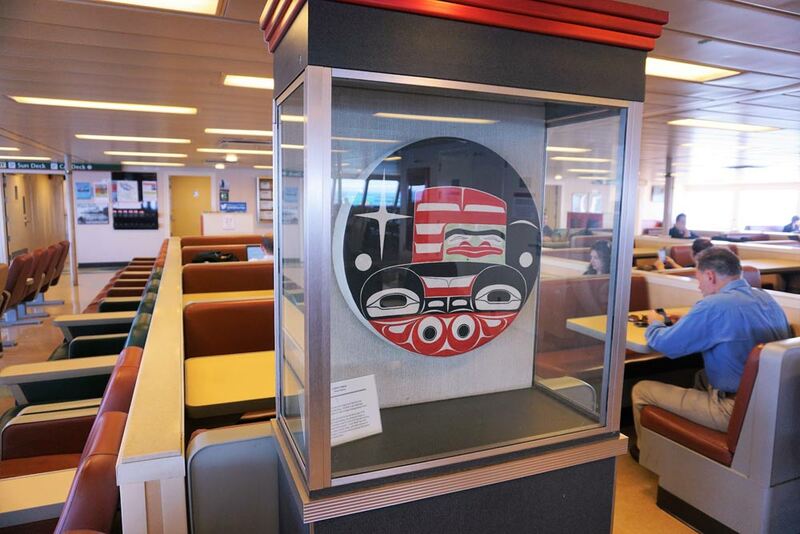 But in a contemporary twist, they’ve been considering possibilities that would embed Native design and imagery into the ferry’s structural features like tables and walls. A ride aboard one of the state ferries can be just a commute, a scenic voyage between terminals. 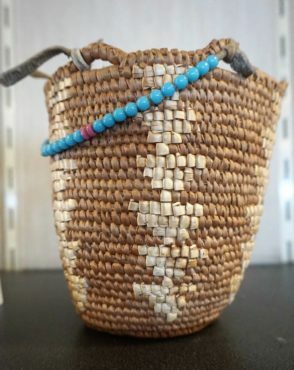 But it can also be an opportunity to take a lap around the vessel to browse a community-curated art and historical exhibition showcasing the creativity of Washington artists, the history of the ferry’s namesake and the culture of Washington’s tribes.